The view of Somes Sound from Acadia Mountain. Photo by David Goehring on Flickr. Acadia Mountain was my first hike in both Acadia National Park and Maine. 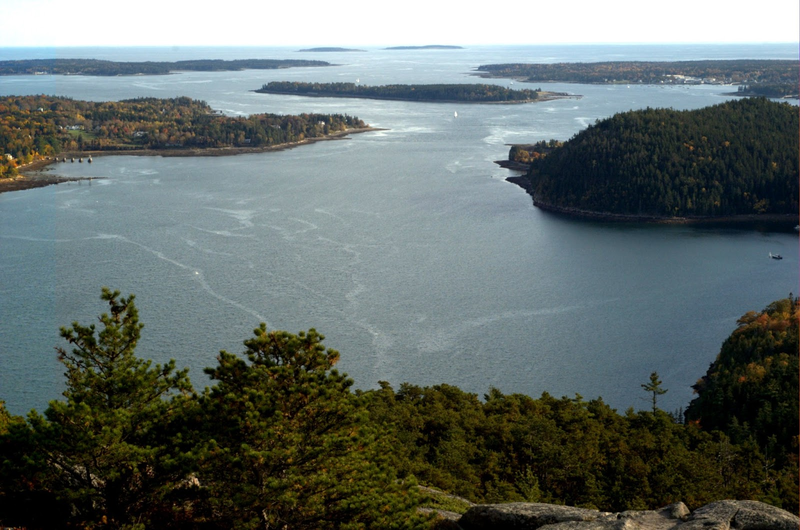 Acadia Mountain rises above the western side of Somes Sound, the only fjord in the United States outside of Alaska. There are several ways to hike the mountain, the easiest of which is an out-and-back from the trailhead on the west side of Echo Lake. 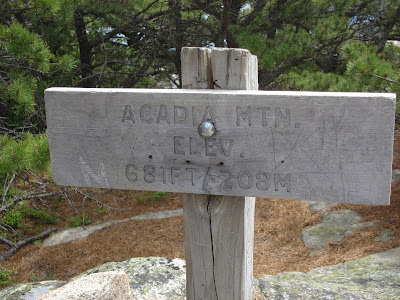 I hiked this as a loop ascending the Acadia Mountain Trail from Echo Lake and then descending the eastern side of the mountain above Somes Sound. Most of the trail is over bedrock, as are most hikes in Acadia. the descent was a bit steeper than the ascent, and there were a few very good views from near the top, but otherwise there weren't may. I returned to the trailhead via a closed dirt road along Man of War Brook. This is the shortest possible loop. Sign on the summit of Acadia Mountain. Photo by Charles Hoffman on Flickr. There are several other longer loop possibilities that included hiking Saint Sauveur Mountain, Valley Peak, and even Flying Mountain from various trailheads. I didn't have camera for this hike, so these photos will have to do.